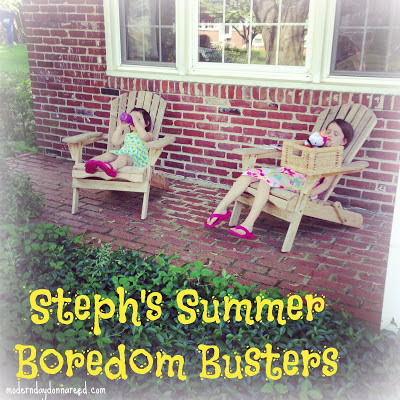 I've still got a few more Boredom Buster ideas to inspire your Summer activities! 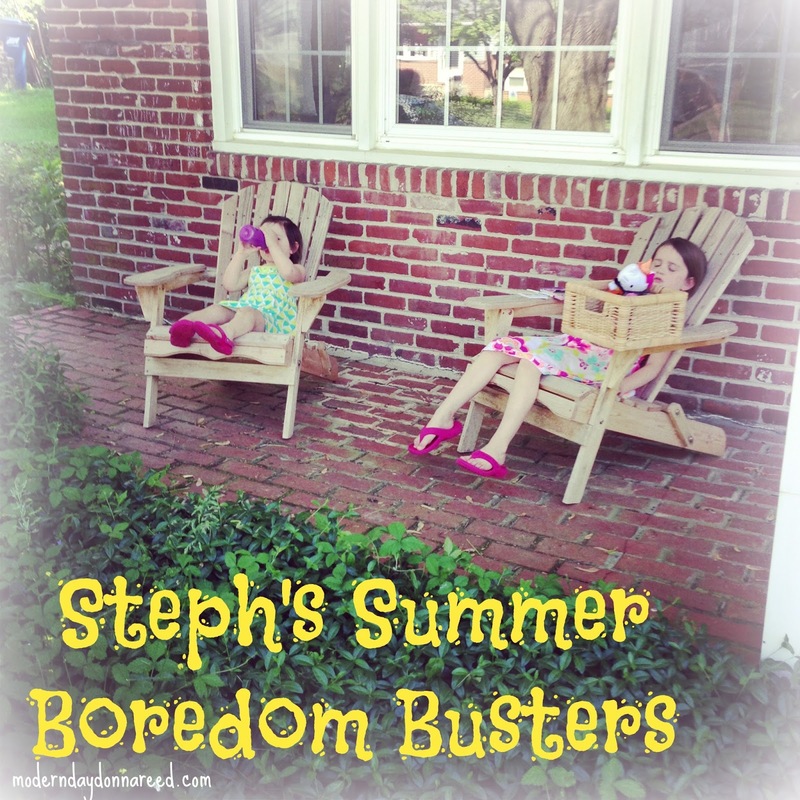 There are so many fun activities you can do at home for little (or no!) cost - but result in hours of fun for the kids. We also miss out on lots of great opportunities in our communities, such as discounted attractions or free weekly events. Luckily, I'm scouting them out for you - so read on! If you are hitting a Summer rut, check out this week's ideas, as well as the ideas from Week 1, Week 2 and Week 3. It's the simple things that end up having the best results, don't they? We hustle and bustle for the big undertaking of day trips or fill our Summer days with tons of activities just to keep busy. But what about just relaxing as a family? I GIVE YOU PERMISSION TO SIT BACK AND RELAX AS A FAMILY. There. Now you have no excuse. Pick a movie, pop some corn or grab some homemade popsicles (see below), and snuggle up on the couch for some on-screen entertainment. This activity is a freebie. And I love freebies. BONUS: If you have access to a projector, tack up a white sheet and watch the movie on the sheet screen for an "At-Home Movie Theatre" experience! Oh, Popsicles. You are the soul of summer. On a hot summer's day, grabbing some cold sweetness on a stick just hits the spot. They were always a good choice when the ice cream truck came around, chiming through the neighborhood. Sure, you can buy them in grocery store by the box. But have you ever checked the ingredients or nutrition information? SUGAR. High fructose corn syrup. Artificial color and flavors. And other not-so-good for you stuff. 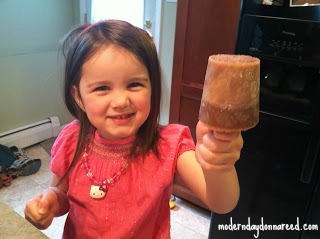 Spare your kids the ensuing sugar rush, and make your own popsicles at home! This way, you are able to control what goes into your pops, how healthy (or unhealthy) you'd like them to be. Popsicles can be as simple as pouring low-sugar apple juice or freshly-squeezed orange juice into molds and freezing them. I have an entire Popsicles Pinterest Board if you need inspiration. 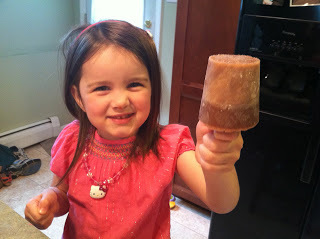 It's a great way to infuse fruits and veggies for picky eaters (make a Green Smoothie then freeze it in molds, baby! ), and kids always think things taste better when they have a hand in making it! Also, if you don't have a good popsicle mold (every one I buy ends up breaking), check out my tutorial on how to make popsicles in dixie cups (Hint: there is a bonus Nutella Popsicle recipe at the end of the post)! Since you'll already have popsicle sticks on hand, this next craft will be the perfect follow up. I came across these Popsicle Stick Bracelets on Pinterest, and HAD to try them out. I wasn't sure how it would go, but I was pleasantly surprised it was relatively easy. 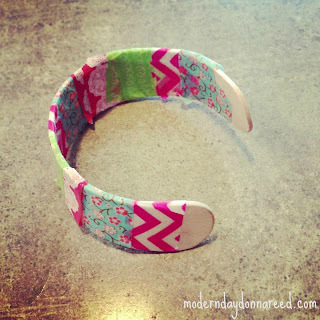 I recently won a bunch of washi tape from Downtown Tape, so Chica and I decorated her bracelets with all the fun washi tape patterns I received! You could cater the decorating for a boy, too. Just use your imagination! Note: when I soaked the popsicle sticks in the boiling water, I soaked 5-10 at a time. Many of them never got pliable enough and would splinter or snap. So be prepared to lose a few sticks in the process. Thanks to MollyMoo this fab craft! I like crafting. But even more than crafting, I like free crafting. In the beginning of the Summer, I enjoyed a fun blogger's night out with A.C. Moore. There, they shared with us some of their upcoming promotions. 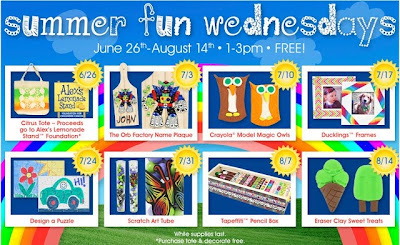 And I was delighted to learn that ALL SUMMER LONG, A.C. Moore offers a free kids craft project every Wednesday between 1pm-3pm. 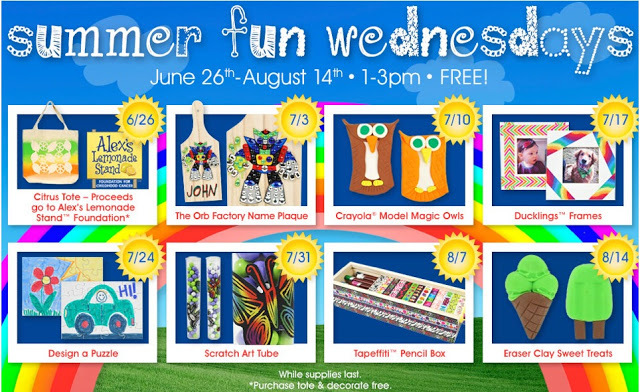 These Summer Fun Wednesdays are offered at ALL A.C. Moore, and are great for ages preschool and older. This is an awesome way to beat the heat and have a little fun in the process! A.C. Moore is generally found on the East Coast, so if you do not have an A.C. Moore available to you, check out your local craft store. They might have something similar for you to participate in! I'm a science geek at heart, so we take every chance we can to do fun science experiements at home. I love that these science adventures are not only educational, but usually messy and fun and sometimes mind-boggling. I stumbled upon this Homemade Flubber pin on Pinterest, but the pin didn't lead anywhere. With a little detective work, I found the original post on Live Craft Eat. And now I cannot WAIT to concoct this with the girls! 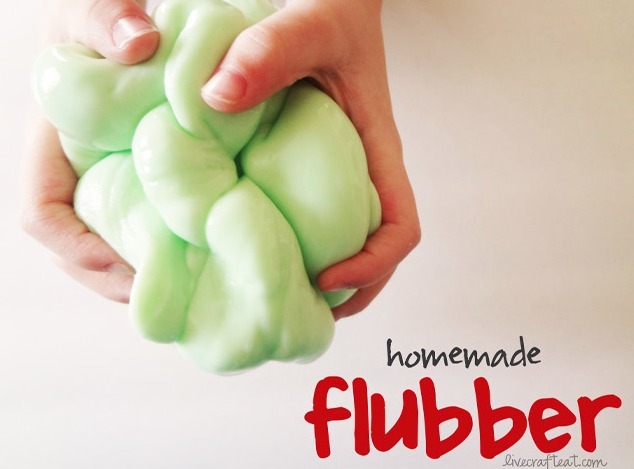 I'm not sure who will have more fun with the Homemade Flubber: ME or the KIDS! Thanks, Live Craft Eat for this fantastic project!